This is the 3rd installment of OPI's collaboration with Serena Williams. As this one was meant to coincide with Wimbledon, the names are subtly English. Also, this is the first set in the Serena Williams collection that isn't a sparkley base color with a shatter top coat, and as someone that still has issues with correctly applying crackles/shatters, I must say that this was a welcome change. 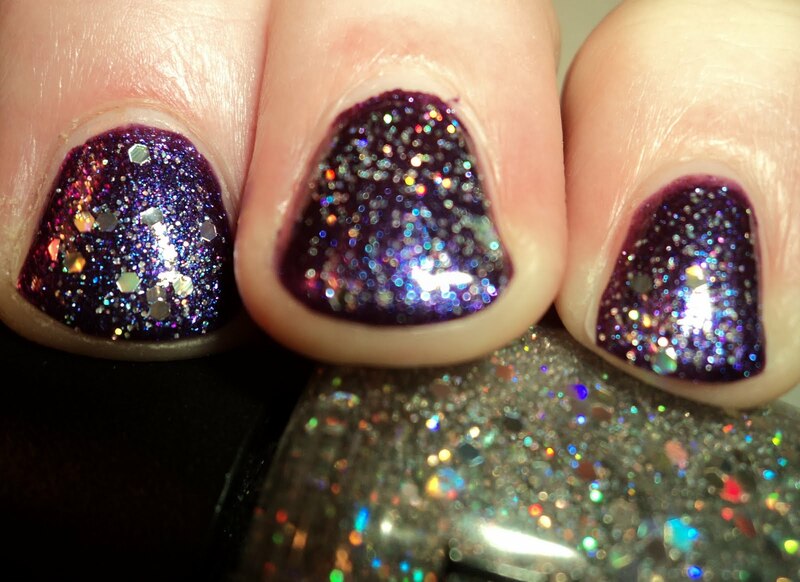 These sets consist of a base color and the same glitter top coat. Grape...Set...Match - grape purple shimmer base with pink, blue, and turquoise shimmer particles. Sigh. I loved this one. It is an amazing color and the entire time I was swatching this one, I kept thinking that it is a marriage of OPI Ink and Lourve Me Lourve Me Not. It's got qualities of both. However, unlike Ink, the shimmer doesn't get lost and unlink LMLMN, it doesn't look muddy. So, in my mind, it's the perfect combo of the two. The application on this one was fine, though it was still thin in spots after 2 coats, so it was a 3-coater for me. 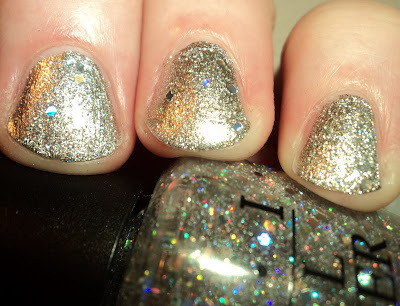 Servin' Up Sparkle (over GSM) - Small round and large hex HOLO glitter in a clear base. Okay, now this is amazing. 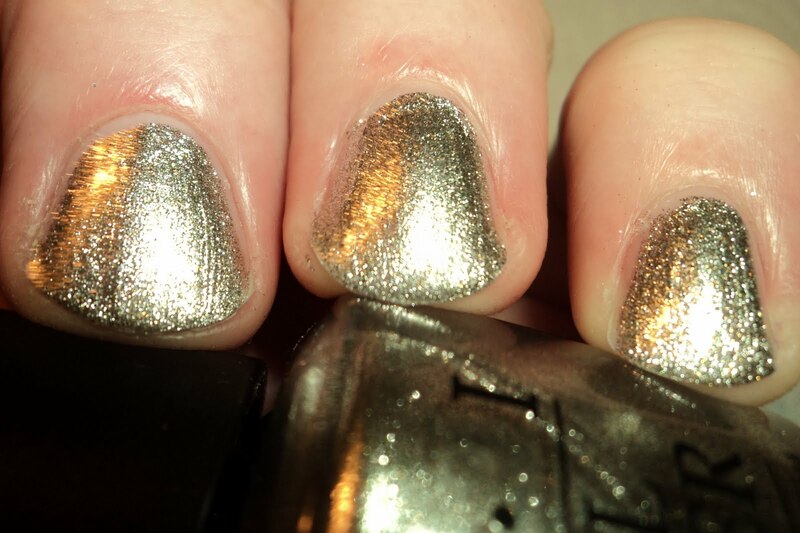 I'm in love with this topcoat. In fact, as soon as I received this from OPI, I slapped it on my nails. This looks beautiful over every color I've tried, but really shines when placed over a shimmery base. This is one coat over GSM. Your Royal ShineNess - Silver foil metallic. This one is pretty straightforward. It's a little more muted than a bright silver, though. 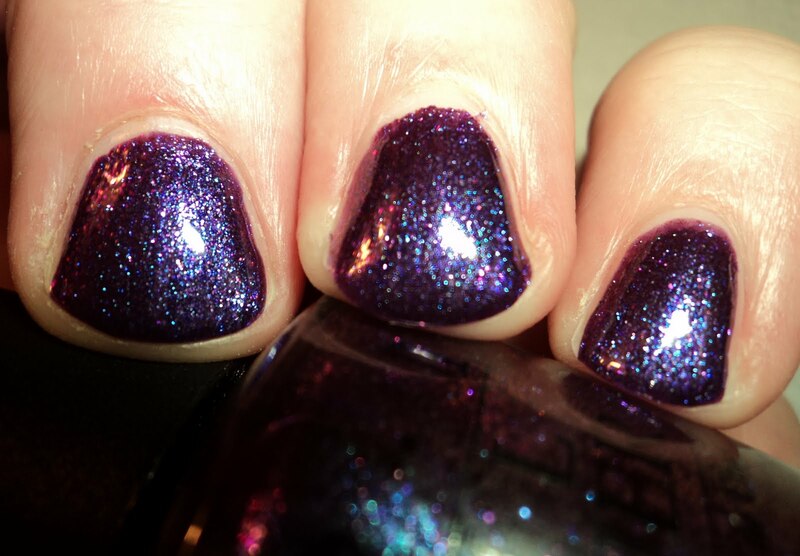 It's reminiscent of Orly's Shine FX colors from last year. The application was perfect. 2 coats. Servin' Up Sparkle (over YRSN) - believe it or not, the effect of this over the silver was much more subtle than it was over the purple, but it is still crazy pretty. I think I'm in love with this TC. All in all, I'm a huge fan of this collection. Everything about it is fantastic. I'm a fan of the Serena Williams collection, in general, but this is my favorite one. LOVE. These are so pretty i want them just waiting for my bday to ask. I love grape set match!! I love the four actually!